This place is amazing!!! There are many different areas to hang out or socialise. There is a cold spa out on the deck that is ideal for a bev in the summer, it also looks over the city!! The lounge room is super open and lets heaps of light in for all those who love plants. It’s primo. Your room opens up to your bathroom who you share with Davo, he’s worked out an easy system so you never walk in on each other. The room you’ll be in is the “hobby” room on the floor plan. Hi potential new housemate! We just signed the lease for this amazing adult tree house. The move in date is 29th April, but can be flexible if you need some more time. It’s in a quiet street in Ashgrove (super close to Red Hill and Paddington). Backs onto a massive park! The house is freshly renovated with a great kitchen, laundry &amp; bedrooms. All very spacious! It’s an indoor/ outdoor house where the hallways are actually all verandas (see floor plan makes way more sense (super cool)). You will need to furnish your room but we’ve pretty much got the rest covered. But we have heaps of room for your furniture too if you’ve got some! (and a huge storage area). Your bedroom would be Bed 2 in the floor plan picture. You would be sharing a bathroom with me and Bonnie who are a short walk upstairs. All rooms have air con and private access. Unfortunately, we may not be able to show you through the house until the 26th or so as the agent is a busy gal. We would like to all meet you for a coffee or something to get the ball rolling and if it seems like a good match then we can try organise an inspection. From a housemate, we are looking for someone who is tidy and respectful. We all enjoy a good wine and whine, but this is not a party house. We want to make a little home for young adults who are sick of dodgy share houses and want to live like real adults. Also, we are all keen into sustainability, have lots of plants and want to start a compost &amp; veggie patch, so would be great if you wanted to help! 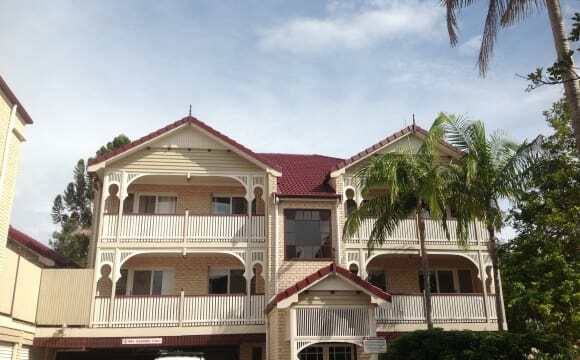 Great two storey townhouse in an awesome location close to shops, cafes and public transport. Only 7 townhouses in the block and you access the front from the street so it feels like you’re in a house. 3 good size bedrooms and 3 bathrooms, so everyone has their own bathroom with shower and toilet. Currently 4 people living comfortably - could easily fit 5. 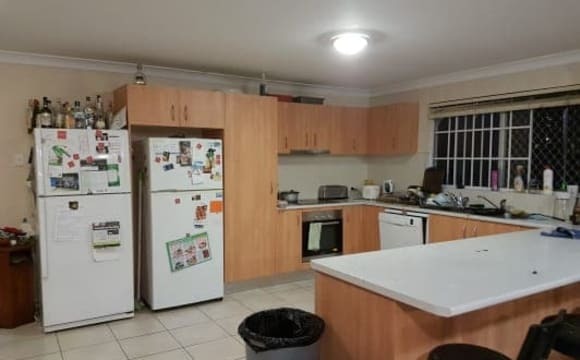 Double garage (lengthways) and heaps of street parking (no street parking restrictions) Happy to provide fridgedining table and chairs, outdoor table setting and dryer if you’d like. I’m very relaxed and happy to be flexible with some things (including lease length). Move in is last week of May/first week of June. Any questions about the place please don’t hesitate to contact me! Fantastic 3 bedroom, 3 bathrooms townhouse spread out across two levels, with a great front courtyard. 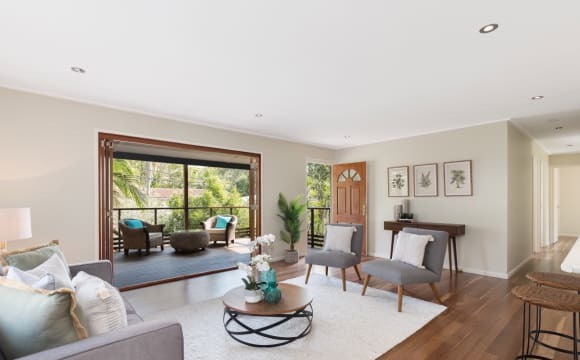 The property is in an awesome location less than a 3-minute walk to Woolworths/Coles/Aldi, local restaurants and cafe's, gym, public transport and less than a 15-minute drive to the city. Master bedroom + ensuite, and second bedroom with private bathroom are on level 1. Third bedroom + private bathroom is on the lower floor, with garage and laundry. The room available is the second room upstairs (see floor plan) and is the room and bathroom featured in the above pictures. Ceiling fans in all rooms, AC in the lounge room, and plenty of street parking. The whole house is fully furnished and stocked with appliances, cooking utensils etc, all you will need to supply is your own bedroom furnishings! Clean and tidy 3 bedroom home, all furnished except bedroom available. Air conditioned, big backyard with trampoline. American bulldog available 24/7 for pats and cat that will primarily ignore you unless you are delivering food. Internet, Netflix, Stan and exciting conversation provided free. Close to public transport and shops. The house has lots of windows, natural light and plants. Nice bathroom with a tub. Back deck that looks out onto a leafy backyard with a massive mango tree and views of the hills. 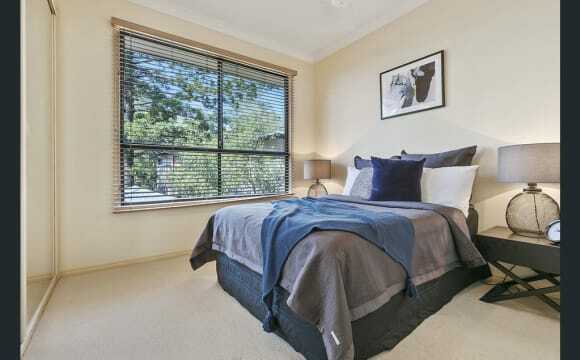 The bedroom has timber floors and a massive built in wardrobe with heaps of storage space. Nice big window to let breeze and natural light in. Brand new ceiling fan. Shared washing machine. There are 2 bus stops outside the house with cafes and a gym 750m away. 5 minute drive or 15 minute walk to Coles, Woolworths and Aldi. 20 minutes into the city. This house is a cute 2/3 bedroom cottage in a quiet street that is still close to yummy restaurants, shops, transport and CBD/valley. The house has a lovely back yard and deck (perfect for BBQs), aircon throughout and renovated bathroom/kitchen. 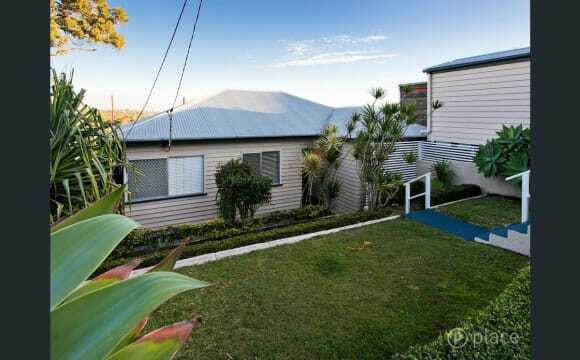 Nice big Queenslander, newly renovated interior with a huge back yard. Plenty of space for storage. Lots of parking, nice location walking distance to shops. - Public transport easily available - 15 mins from the city - Quiet street in a friendly neighborhood - Room available has no wardrobe but does have a smaller room attached that can be used for a huge walk in wardrobe etc. The room available as air con as well as double doors leading out to the front sun room - Newly renovated - Good vibes with easy to get along with housemates The back yard is large with a concrete area under the house We are looking for someone to occupy the room until the 17th sep when the lease is up. If you think you'd be a good fit please call Amber. House: You'll be living in a two-storey Queenslander with wood floors, high ceilings, massive back deck, and a massive backyard. The shared areas are fully furnished, however the room comes unfurnished but includes a massive built in wardrobe. Other storage space can be found underneath the house if needed. 3km from Roma street station and bus stop 2m from the house. 1km from Given tce Paddington (Yeah the paddo). Rent includes gardening maintenance. We spilt all utilities which roughly works out to be $15 a week and Internet is $15 a month. 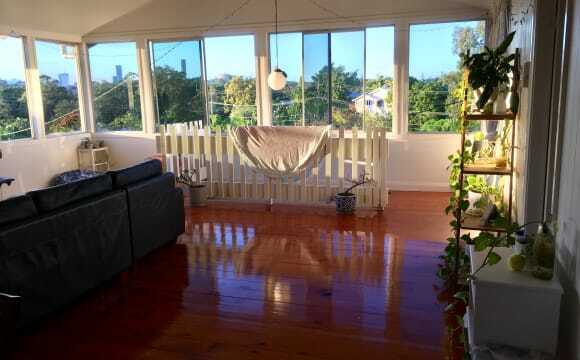 Looking for a third person to fill a room in a beautiful Queenslander in Paddington! 5 mins walk away from Latrobe terrace shops and cafe’s. Bills wise, water and wifi is included in rent ($190/week) and gas/electricity bills are quarterly and tend to work out pretty reasonably because there’s three of us. The room is unfurnished, and would be available mid-April. Please message me if you’re interested and we can arrange a time for you to see the place and meet the girls! This lovely home in a leafy peaceful setting offers comfort and convenience. 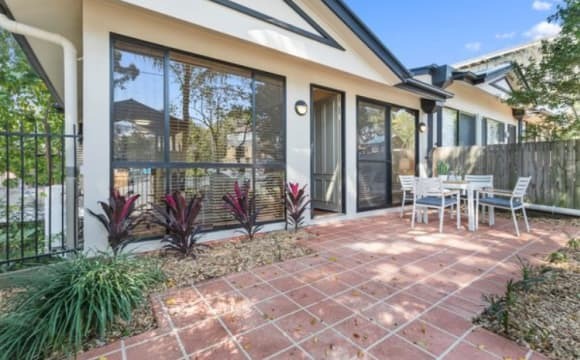 Close to Mt Cootha trails and parklands. Perfect for sharing. There are 2 KITCHENS, which means no fighting for cooking space or time. Currently empty and unfurnished, You can take 1 or all 5 bedrooms ranging in price from 170-200/week. 3 bedrooms upstairs (1 has an ensuite and the other 2 share a large modern bathroom.) 2 bedrooms downstairs sharing another modern bathroom, kitchen and lounge room. If you are first in, you will have a say in your future housemates and get to approve them before living with them. Property features: Upstairs: 3 Bedrooms (master with ensuite) Main bathroom with bath Open plan living, dining &amp; kitchen Well-equipped kitchen with plenty of cupboards 2 large decks Air conditioning Downstairs: 4th &amp; 5th Bedroom Rumpus/living space Bathroom Second kitchen Air conditioning Single garage with laundry area Plenty of parking off-street for up to 4 more vehicles Send me a message for more info or if you are interested in viewing! 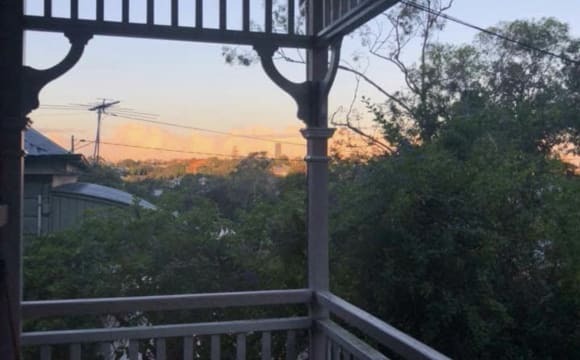 Available 19th April This house is a beautiful old Queenslander in Red Hill super close to the bars and restaurants in Paddington and Spring Hill. There are 3 bedrooms upstairs and one downstairs with a bathroom on each level. The house is fully furnished apart from your bedroom. The room available is at the back of the house and only shares a wall with the spare room, so very private. Looks out to the deck and bushland at the rear of the property. There are many options for buses, walking tracks and pubs/restaurants in the Paddo area. Loads of storage available downstairs. The room has a large built-in-wardrobe, ceiling fan, cable internet and is quite large fitting a queen bed, desk and other furniture. You would share the upstairs bathroom with one female. There is a second bathroom downstairs. Whilst there are four bedrooms, only three flatmates as one is kept as a spare room for guests. There is a front veranda, large living room, dining room and rear deck so multiple places to chill. 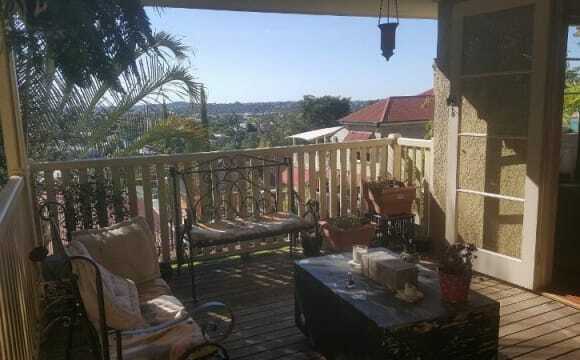 This Queenslander is spacious, located in a very relaxed part of Red Hill. There is a front and back deck complete with hammocks, and a large table. Bathroom is shared, yet always left clean and tidy. The house has air-con, but there is always a great breeze that comes through when the windows and doors are opened. There currently is no internet due to a former housemate withdrawing the contract after moving out. However, a new internet account can be easily started. Paddington Central (which includes Woolworths, cafes, and public transport access) is a 10 minute walk away. Below the house is where the washing machine and clothes line is situated. Sometimes the backyard will be used, generally in the form of a slip n slide, and that's about it haha I've thoroughly enjoyed my time living here, and am sad to depart, yet can guarantee this is a great place to live in. Bond is $800 Bills (gas and electricity) are split three-ways, quarterly. Lease ends June 6th, with potential to extend. Any further questions, feel free to message me. 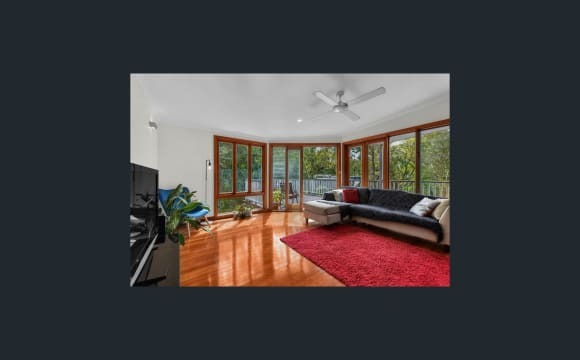 Modern unit in quiet location (immersed in the green hills of Paddington), with big deck in the border Paddington/Bardon (top LaTrobe tce), polished hard wood floor and air conditioning. Recently built, 2 bedrooms (with built in wardrobes and blinds) and 2 small bathrooms. Kitchen equipped with island (top bench in stone) and modern appliances (dish washer, washing machine and oven). Less than 3 km from cbd. 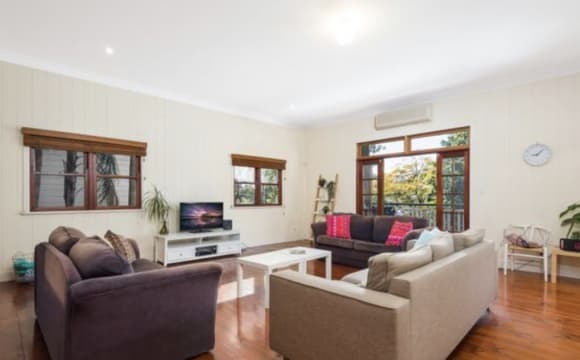 Public transport at your doorstep and within easy walking distance of the shops, restaurants, cafes and nightspots of Paddington, the Barracks, Petrie Terrace, Park Road Milton, and Rosalie. It’s close to the city and public transport, quiet street, nice location. 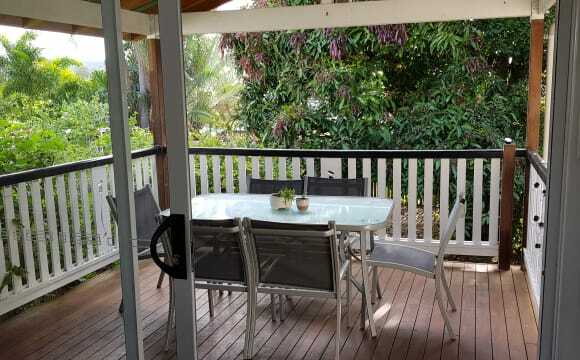 Large 3 bedroom queenslander house. Lots of plants and a cute cat named cotton. 2 bedrooms available the smaller $118 + bond (small room has now been filled) the larger is $176 + bond. Bills split evenly between the rooms. You must be able to sign a 12 month lease by the end of April. Looking for late 20s to early to mid 30s professionals, must be Netflix, wine and cat friendly. I work in the creative arts in costume so it’s a creative home with a chilled out vibe. Most of the house is furnished except for the bedrooms. 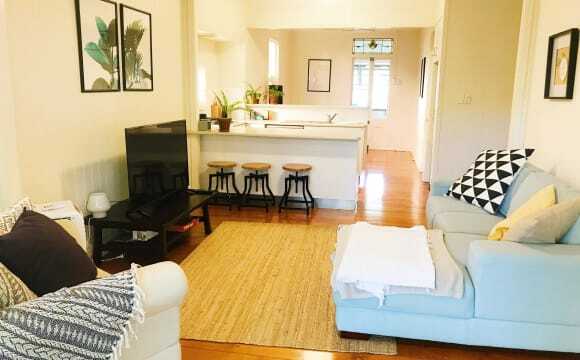 The house is a quaint home is in a great location in a nice quiet street close to bike ways, cafes, shops, QUT and now public transport. It has only recently had a renovated kitchen and air conditioning (included in two bedrooms and lounge room).